Johnson says he’s being outspent by Democrat Hillary Clinton by 100 to 1, and Republican Donald Trump by 50 to 1. But he believes his campaign is getting the best return from voters. “Divide the amount of money that each candidate spends by the number of votes that they get and I’m going to end up at the top of that heap by a big, big margin,” says Johnson. Johnson is currently running a distant third in presidential polls in Michigan. 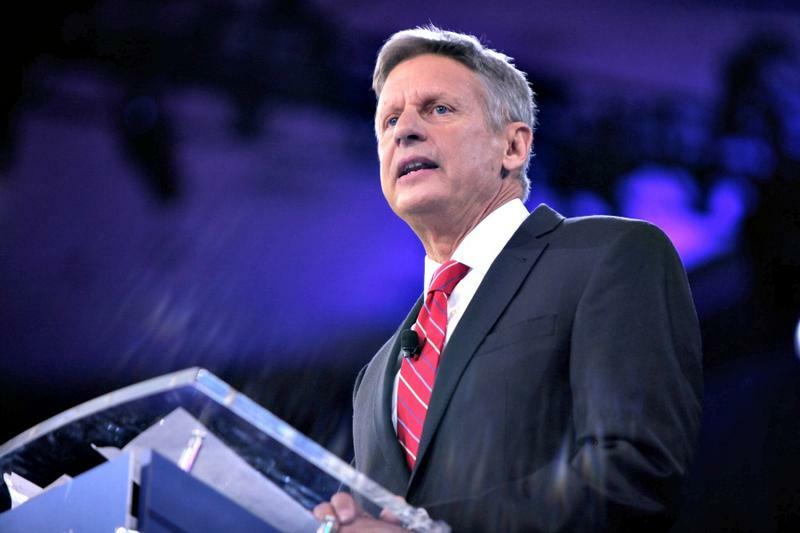 Gary Johnson admits it will take a “seismic shift” for him to win the presidency next month. But he says the revival of Hillary Clinton’s email investigation and Donald Trump’s ongoing campaign gaffes could convince Michigan voters to shift to him on Election Day. Week in Review: A surprise endorsement for Gary Johnson; Trump returns to Mich.
Before U.S. lawmakers left town this week, the House approved a funding bill that includes $170 million for Flint. This Week in Review, Jack Lessenberry and Rebecca Kruth talk about what needs to happen to get the bill passed once lawmakers return after Election Day. They also talk about Donald Trump's fifth visit to Michigan since he was named the Republican presidential nominee, and The Detroit News' surprising endorsement of Libertarian Gary Johnson for president.